The André and Elizabeth Kertész Foundation, New York, NY; gift to NGA, 1996. Building a Collection, National Gallery of Art, Washington, 1997-1998, no. 28. André Kertész, National Gallery of Art, Washington; Los Angeles County Museum of Art, Los Angeles; International Center of Photography, New York, 2005, no. 64. Corkin, Jane. André Kertész: A Lifetime of Perception. New York, 1982: p. 50. Kertész on Kertész: A Self Portrait. New York, 1985: 66. Omaggio ad André Kertész, 1894-1985. Rome, 1985: p. 17. André Kertész. New York and Paris, 1986: pl. 40. André Kertész. Millerton, New York: p. 45. 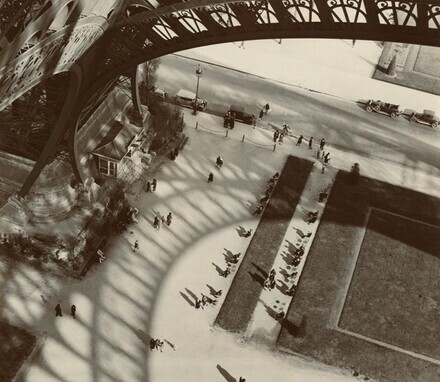 In Focus: André Kertész, Photographs from the J. Paul Getty Museum. Malibu, 1994: pl. 29.